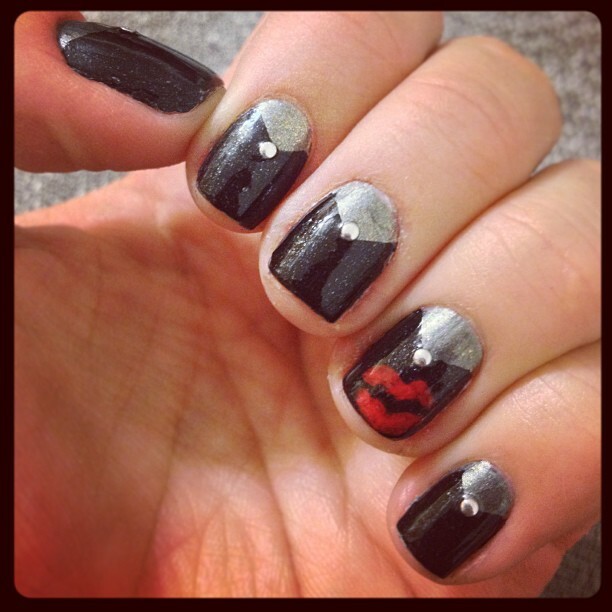 My new years eve manicure using Julep's Leslie over Stefani for the base and Delaunay for the lips. I called it "Kiss Me at Midnight, Stud." This is the only halfway decent shot of my semi-casual NYE outfit; silver leather peplum top from H&M and black coated Rich & Skinny jeansunder my Down East Outfitters military-inspired jacket and a White House Black Market black patent bow belt. 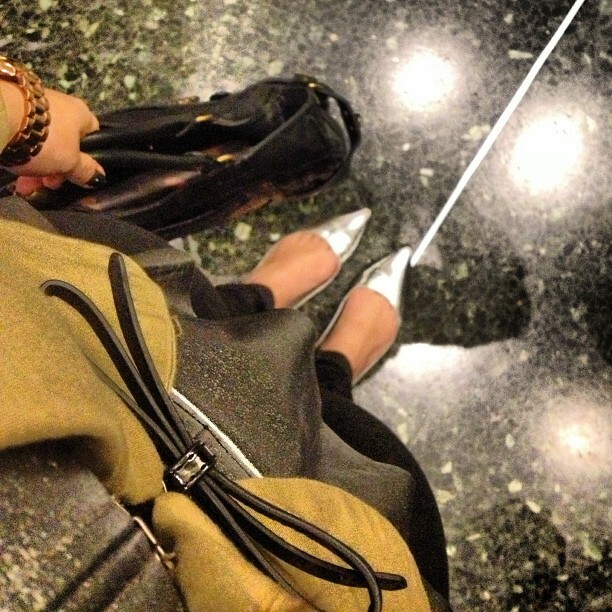 On my feet are my silver pointed toe Guess flats from Poshmark. 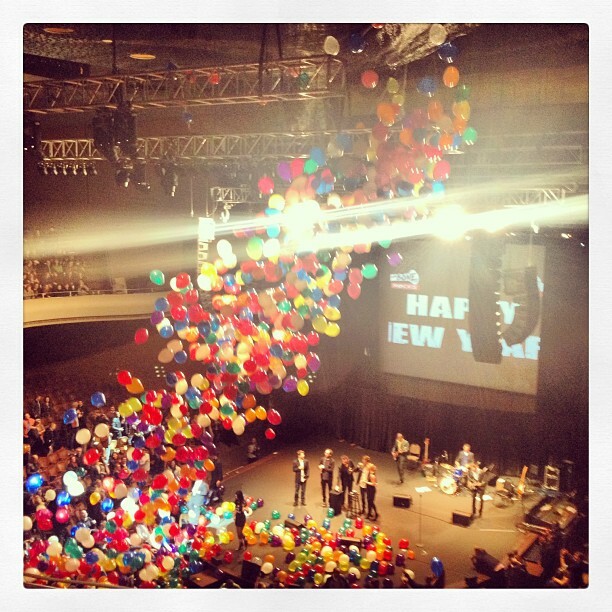 The midnight ballon drop at the comedy countdown we attended. 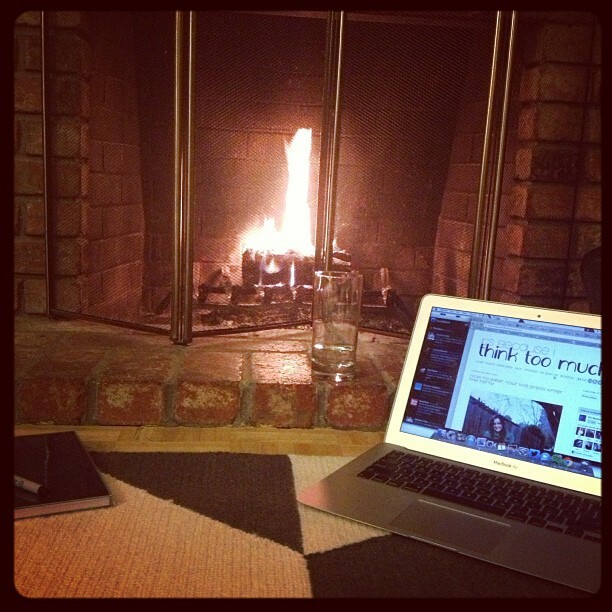 Blogging and New Year's Resolution-ing by the fire! 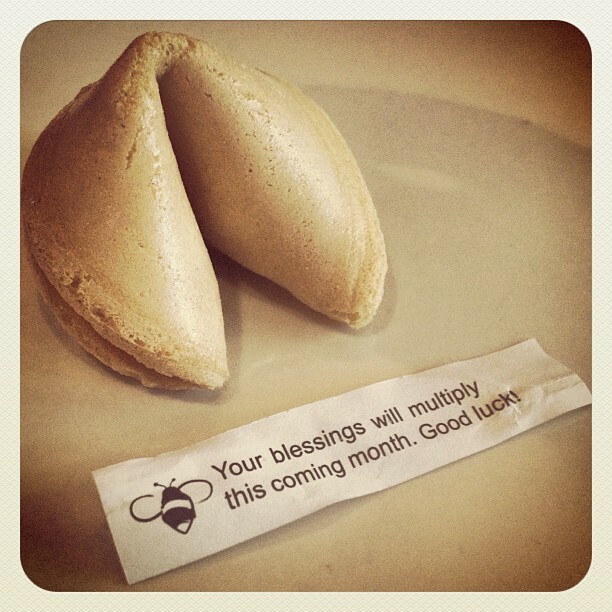 See this week's InstaThoughts as they happen by following me @triplyksis on Instagram! Those nails are so cool! !